It is Week 2 of Whole30 but if you started January 1st, we are now almost halfway through!! WHOOP WHOOP! How are you feeling? 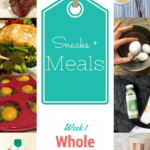 If you missed our kickoff last week, be sure to checkout Week 1 which includes a 7 Day Meal Plan with Recipes + Printable! 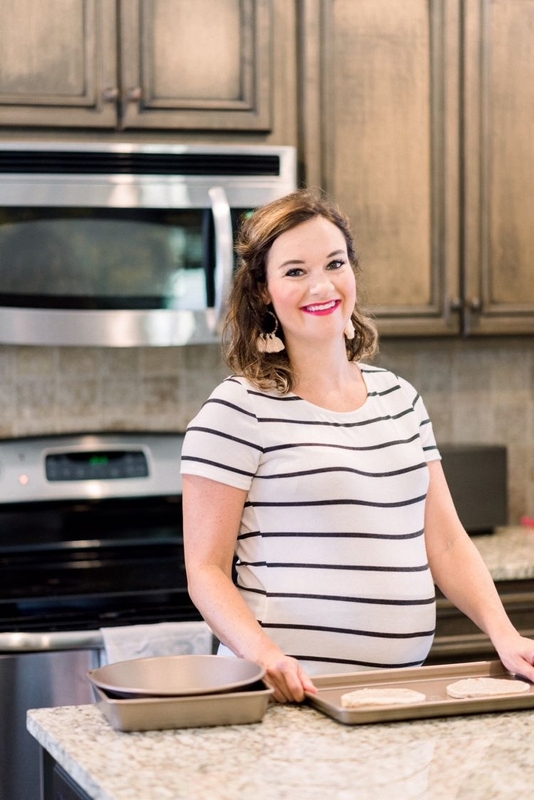 If you aren’t already, follow along with my fellow bloggers, Molly at Stilettos and Diapers, Jessica at Happily Hughes, and Lindsey at Life Lutzurious as we all share our Whole30 tips and tricks. Join our Whole30 Facebook Group HERE and be sure to tag us in all your Whole30 posts on social media! If you missed our Whole30 Q&A Facebook Live, watch the replay HERE! If you are looking for more Whole30 recipes, follow my Whole30 board on Pinterest! Looking for more Whole30 posts? Check out Week 3 from this challenge where I share the Ultimate Upper Body Workout Video! 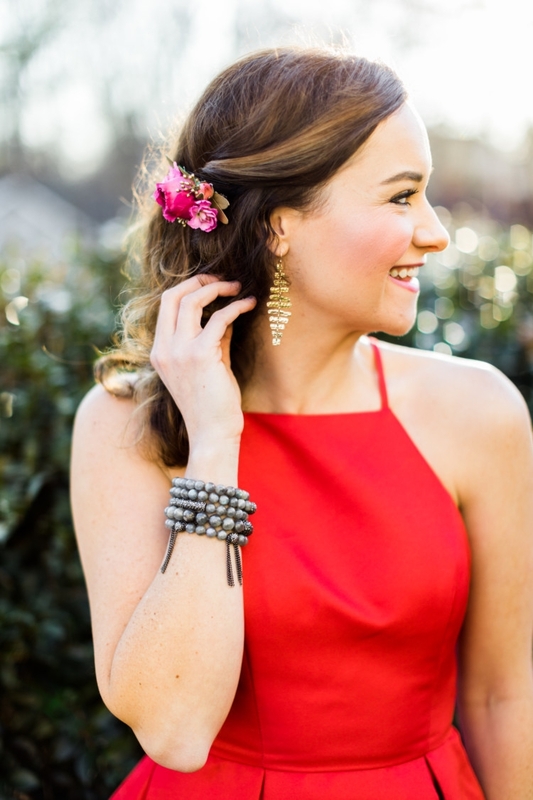 This week I wanted to tackle a few of your most popular Whole30 questions! As you can tell, I am very pregnant in these photos 😉 While I am not pregnant now, I was last year when we did Whole30 together! So many of the Whole30 questions I am receiving revolve around pregnancy + Whole30 or breastfeeding + Whole30. 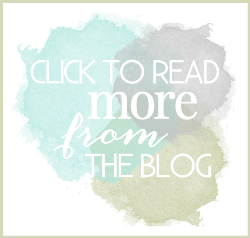 I am sharing how I modified during my pregnancy with Finn and how I am modifying now while breastfeeding in the answers below! 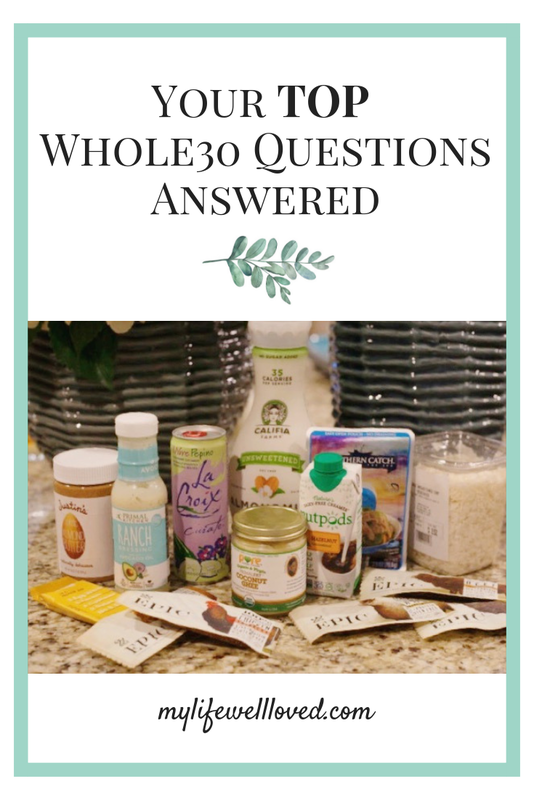 I hope by answering these Whole30 questions, you are able to get a better idea if Whole30 is for you, how it works for me and my family, and how we make it doable for our lifestyle! Can I breastfeed while on Whole30? I am getting this question a LOT and the answer is YES! I am currently breastfeeding and doing a modified Whole30. The official Whole30 Website has an entire section devoted to answering your questions about doing Whole30 while breastfeeding HERE. For me, it is more important for my supply to stay consistent than for me to stick to Whole30 strictly. Because of that, I am incorporating oatmeal and quinoa here and there to prevent any decrease in milk supply as well as making sure to up my protein and eat more potatoes and such as well. I recommend pumping to see if your output is decreasing or increasing and adjusting accordingly. Yes! I actually just found out I was pregnant last January when we were doing Whole30 together! I tried to stick to Whole30 as much as possible but if I woke up in the middle of the night feeling sick or if I had morning sickness, you better believe I ate a cracker or drank a soda to help. Feeling good and taking care of myself was my #1 priority. 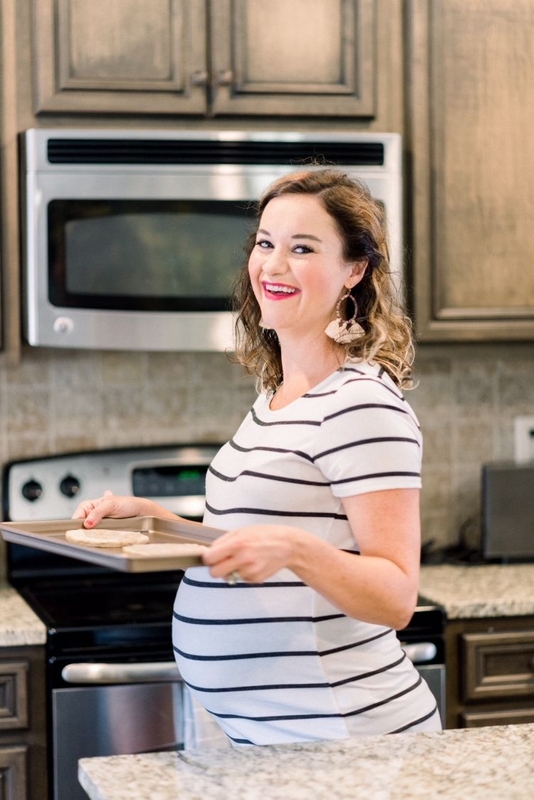 The Whole30 site has more information about doing Whole30 while pregnant and I would definitely encourage you to read their resources HERE! Will I lose weight doing a Whole30 challenge? Everyone’s body is different! I can’t say you will for sure lose a certain number of pounds. The focus of Whole30 is not to lose weight but rather to cleanse your body of toxins and reset your system by eating REAL, wholesome foods. Inevitably, it is common to experience weight loss when you are changing your daily diet and especially if you add in exercising. To me, the weight loss is an added plus to all the other health benefits I gain – like more energy throughout the day, sleeping better, not craving sugar, less bloat, etc. Will I cure my [some ailment] doing a Whole30 challenge? I don’t think there is any way to guarantee a specific ailment will be cured by Whole30. 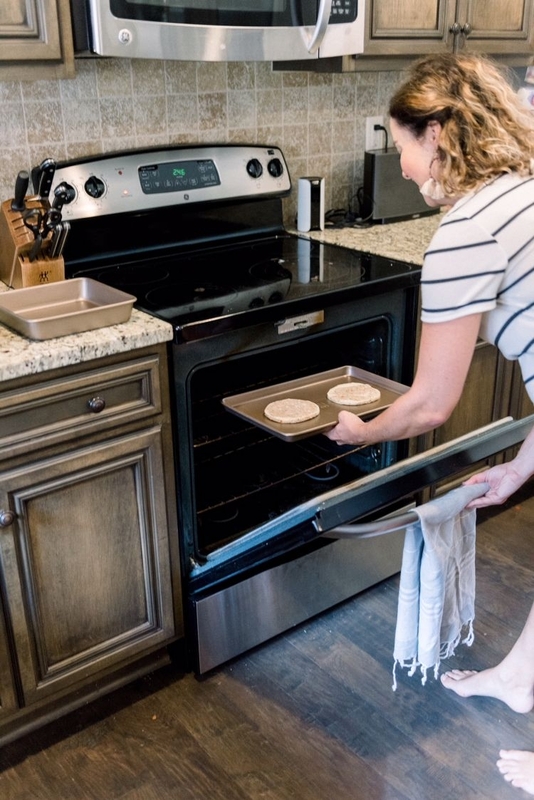 However, by eliminating so many things from your diet, it is likely that if you do have any food sensitivities, these issues will be resolved. Food sensitivities can make your body react in so many different ways – breakouts, upset stomach, IBM, headaches, etc. By eliminating everything, if you find that one of these ailments is “cured”, I would suggest reintroducing foods one at a time after the 30 days is completed. Example – Introduce dairy for 1 week and see if your symptom/ailment returns. If so, take note that dairy is causing _____. So on so forth with soy, sugar, legumes, etc. What are some benefits that I can expect from Whole30? By eating real, whole foods for 30 days, the benefits are endless. The perks of an elimination diet is that you can truly cleanse yourself and see what is triggering certain problem spots, as mentioned above. It also is very likely that you will lose weight or inches. Whole30 is great for helping break an addiction to sugar, soda, etc. Other benefits include more energy, sleeping better, and feeling less bloated throughout the day! The purpose of Whole30 is to stick to the diet for 30 days. I know 30 days seems like a long time and a lot of life can happen in 30 days. If you can, try to save “cheat days” for afterwards. Officially, the Whole30 would say no cheat days and if you do cheat, start back over.However, if you know your birthday will fall within the 30 days of Whole30, I am not going to tell you to skip cake and a glass of wine 😉 My thinking is, it is better to “cheat” for one day and stay on track for the other 29 than to not do it at all. Right? When we started this round of Whole30, I knew there were a few days we already had plans where I would be “cheating”. If that is the same case for you, mark those dates on the calendar and work to be as consistent as possible on all the other days! Can I make changes/tweaks to the program? To experience the results and benefits of the program, it is recommended to stick to the diet as much as possible for the 30 days. If you are pregnant or breastfeeding, see how I modified above! I was very strict the first couple of rounds I did on whole30 but now that I know what my triggers are, I avoid those during the time and am relatively relaxed about the rest. Use the program to SUPPORT you and what you need, not hinder you. If this is your first round, I HIGHLY recommend you stick to the program as intended. No! Whole30 is all about diet. As you know, exercising is a big part of my daily routine so I do choose to exercise while on Whole30. I will do Pure Barre or Home Fit or go on walks with the family! If you are working out and not seeing results, I would highly recommend pairing your exercise with the Whole30 diet. The phrase, “You can’t outrun your fork” is true and Whole30 could help kickstart a healthy eating lifestyle that will better fuel your workouts and help you see more results! Do I have to eat meat? We love meat so we definitely do but you do not have to! There are many vegetarians and vegans who do Whole30. I would be concerned about your protein intake, however, as legumes (beans) are not allowed. 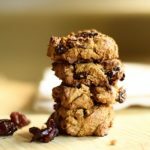 The official Whole30 site has great resources and modifications/tips for vegans/vegetarians HERE! I messed up, do I have to start over? No! Some might say if you messed up, you have to go back to Day 1 but I am a believer of healthy balance and GRACE. If you messed up, tomorrow is a new day and you can still benefit your body by eating healthy the rest of Whole30! Don’t quit just because of one day! Can I do Whole30 on a budget? Absolutely! I feel like this is the biggest misconception about Whole30 and healthy eating in general. Just because you are eating healthy does not mean you have to spend hundreds of dollars each week on groceries. We purchase a lot of our Whole30 must haves at Aldi and Trader Joe’s, both very affordable options! Of course, there are pricier items like the Vital Proteins, Primal Kitchen Ranch Dressing, RX Bars, or Nutpods, where you are ultimately paying for convenience. 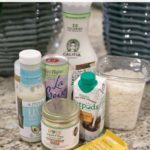 But those are not necessities and you could easily make your own approved ranch dressing or substitute regular almond milk in your coffee for a more affordable version. 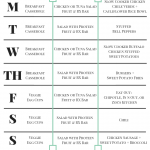 What is the best way to meal plan? Having done Whole30 for 4+ years, we have our favorite go-to recipes. I would encourage you to find recipes that are doable, have ingredients that are accessible, and are quick prep time or crockpot-friendly. Once you find your “favorites”, rotate them out each week. I would like to say I meal plan for the entire 30 days before it starts but in reality, we decide our meals the weekend before and make sure we have all the necessary ingredients on hand. As far as meal prepping goes, I think making your breakfasts and lunches ahead of time can be a huge help! If you love meal prepping, I have a 2 hour meal prep guide on my blog that helps you prep meal for the entire week! Try meal prepping my Whole30 Egg Casserole to enjoy throughout the week for breakfast and my Tuna/Chicken Salad for lunch! If you are looking for a 7 Day Meal Plan, you can find one on my blog HERE that includes recipes! I also have a Week 1 Meal Plan and Week 2 Meal Plan! What are some of the hardest parts of doing Whole30? The hardest part of Whole30 is the inconvenience. As a society, I think we have become accustomed to the luxury of convenience. Aside from a few Whole30 approved restaurants, there aren’t many quick and easy drive-thru spots you can grab lunch or dinner on-the-go. It takes grocery shopping, meal planning, prepping, cooking, and the time to do it all. My biggest tip is to have the right foods accessible for when you are “starving” or in a pinch. If you haven’t grocery shopped or you haven’t meal prepped, you are more likely to cheat in those moments! The point of Whole30 is not to maintain a restrictive diet forever. For many, Whole30 is to help figure out food sensitivities or detox their bodies from “bad” foods. For me, Whole30 helps me hit the reset button after the holidays. It not only helps me get on track with my diet but it helps me get into the routine of grocery shopping, meal planning, meal prepping, and cooking. Whole30 instills healthy habits that can still be used once you introduce foods back into your diet. Outside of Whole30, we try and eat Paleo 80% of the time. 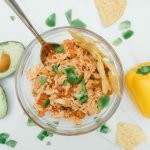 My favorite dinner recipes include: White Chicken Chili, Chicken Chili Verde, Sweet Potato Sliders, and more linked in this post! I have been using Fit Five Meals this Whole30 round. You have to omit some of the sauces or select carefully to make sure they are compliant but I love how tasty they are! You can use code MYLIFE15 for 15% off. My favorite lunch recipes include: Tuna/Chicken Salad, Leftovers, Turkey Lettuce Wrap from Jimmy John’s, or meals from Nourish Foods if you aren’t local! I tend to gravitate toward fast, quick, and easy breakfast options! I always have my coffee + Nutpods along with a banana + almond butter, scrambled eggs, or egg casserole. My favorite snacks are: fruit, banana + almond butter, RX Bar, Larabar, nuts, vegetable juice, guacamole, compliant beef jerky, deli meat, hard boiled eggs. Did your husband try Whole30? Yes! Eric has done Whole30 with me before and I will say it is so much easier when you have a friend or spouse doing it with you! Trying to stay strong by yourself can get overwhelming, especially if your husband is indulging in a hamburger with French fries and a milkshake in front of you. Eric really enjoyed Whole30 and the detox/reset aspect of it but felt the Whole30 flu HARD the first time he did it! This time he’s just eating healthier in general, not doing alcohol except on our designated cheat days with me and eating whole30 meals with me at night. Did I answer all your Whole30 questions? If I missed something, be sure to leave your Whole30 questions in the comments below and I will try to answer it and add it in! PIN THE WHOLE30 QUESTIONS POST FOR LATER! Just wanted to say you look fantastic!